About 15 years ago my partner Sue and I bought a new apartment off the plan and had a truly hellish time with corrupt committee members, self-serving building managers, incompetent strata managers, rapacious developers, mendacious attack-dog lawyers and neighbours who refused to help but then were quick to point the finger when things went wrong. Our saving grace was that we are both authors and journalists and we decided to write a book about it to warn other people about the pitfalls. 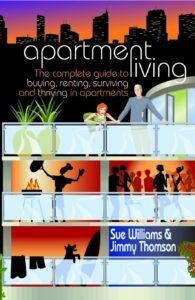 That was Apartment Living which was published by ABC books. 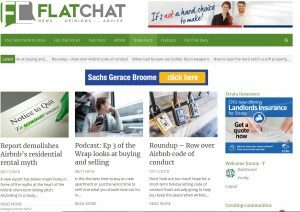 From it came my weekly Flat Chat column, first in the Sydney Morning Herald, now in the Australian Financial Review, which has now been going for 15 years, and from that came the Flat Chat website which offers advice and empathy to the tens of thousands of others who are struggling with the new realities of strata living. I also turn up once a month on the James Valentine show on ABC radio 702 to talk about apartments and answer questions from listeners and I frequently get asked to speak at conferences and seminars. If you were wondering, that’s why this website is called The Accidental Guru. I never set out to be an expert on strata living but, hey, if no one else was going to do it, it might as well be me. 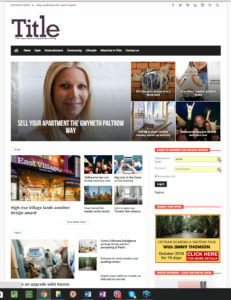 In 2014 Sue and I launched a magazine called Title, promoting the positive aspects of apartment living. The website www.titlemagazine.com.au is still going strong although the realities of the print market, the vagaries of advertising and the cost of distribution have overwhelmed its physical incarnation.